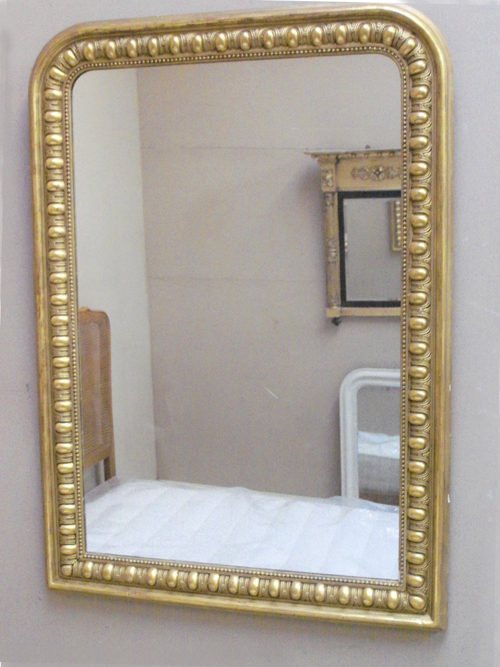 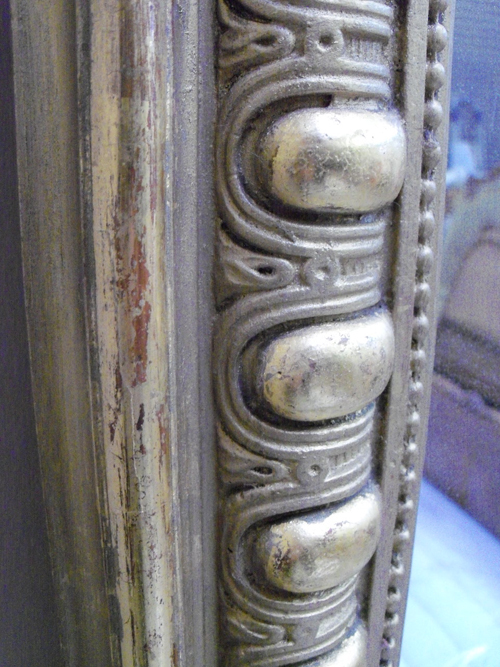 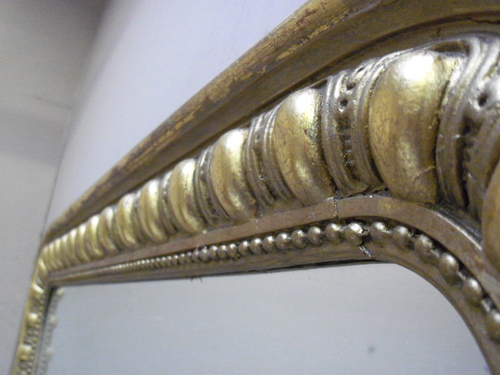 Very stylish large French antique Louis Philippe style gilded mirror. 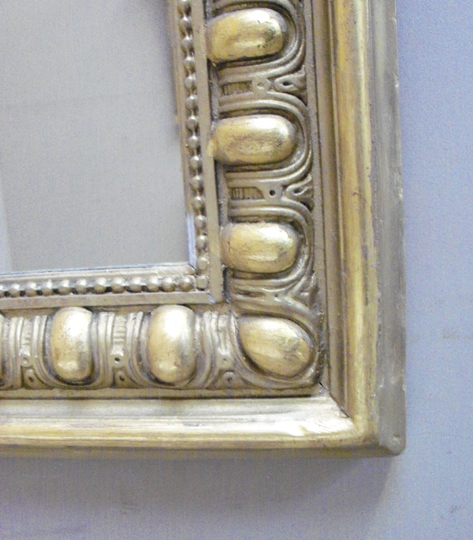 The frame is construced of wood and gesso and has raised decoration surrounding the mirror. 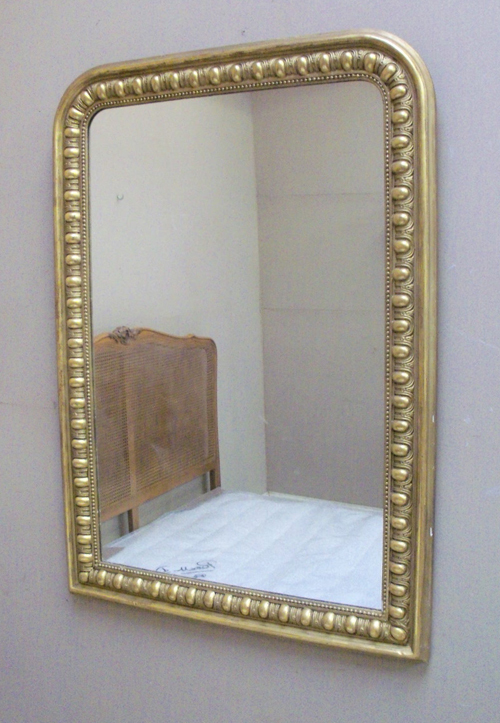 Measurements: 116cm tall x 85cm wide. 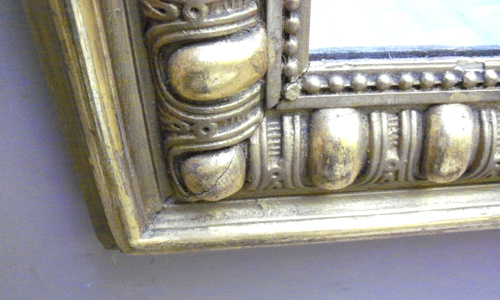 Delivery England / Wales mainland £69 or can be collected from our shop in Leek, Staffordshire.